Miami is considered a cultural melting pot and metropolis in the state of Florida. The Miami Metropolitan International Fashion Week represents the prosperous cultural diversity which has molded this city. MMIFW emphasis is on revealing the highly trendy and up-to-date fashions to the fashion community as well as the common folk. 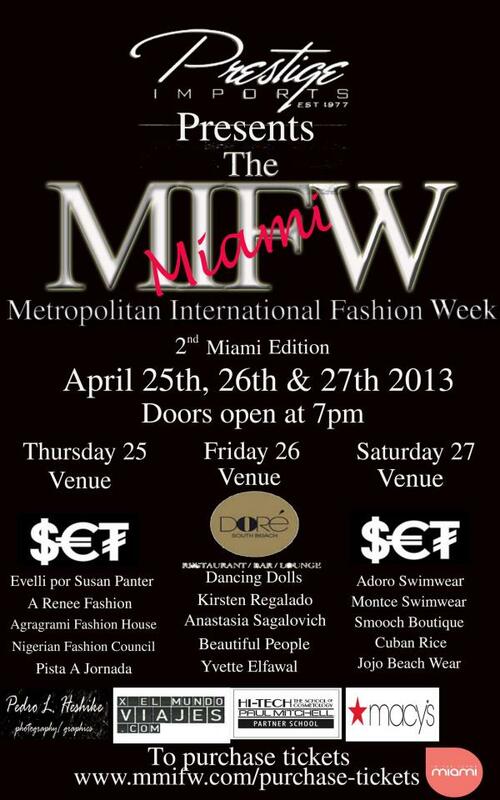 Recently, the 2nd annual MMIFW event took place from April 25-27, 2013 in the Wynwood District area of Miami. Both international and U.S. designers participated in this grand event which kicked off with Day Wear, Evening Wear and concluded with Swimwear. 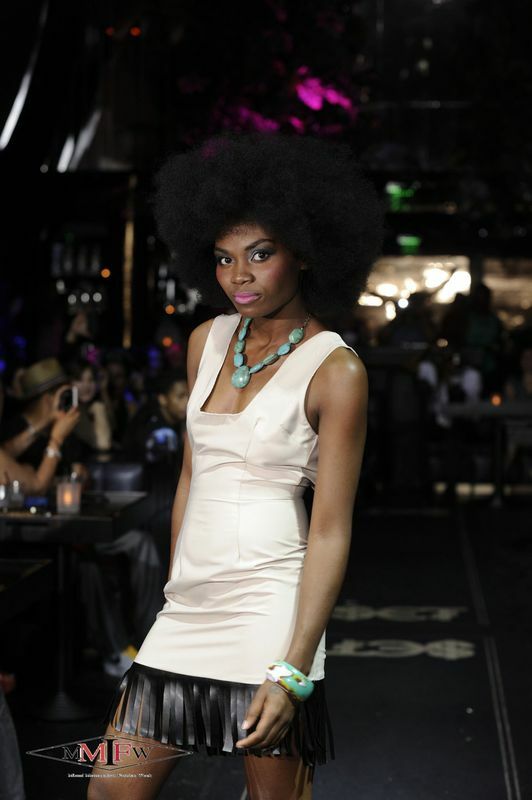 Miami Metropolitan International Fashion Week is a great opportunities for some reputable fashion designers to promote their brands. The event has given emerging designers a chance to launch their new brands. 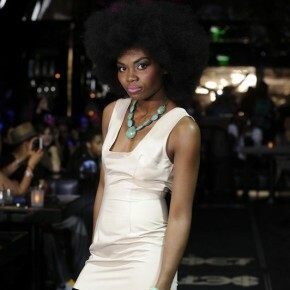 During this event, designers from Dubai, Egypt, the Philippines, Cuba, Nigeria, England, Canada, Singapore and United States demonstrated their collections of fresh designs. Yvette Elfawal displayed her recent collection during this event. Other collections included Kirsten Regalado Gowns, Dancing Dolls, Beautiful People Couture, Agragrami Fashion House and more. Although, there were a number of talented designers present at this year’s event, Yvette Elfawal was the one who received high admiration from the crowd.